“In Oslo, an event has been set up on 22th November 2018 called Lucy Smith’s Children’s Rights Day 2018: Children’s right to privacy (“Lucy Smith’s Barnerettighetsdag 2018: Barns rett till privatliv”), which is hosted by the Children’s Ombudsman (“Barneombudsman”). Lucy Smith’s Children’s Rights Day is an annual event that was held this year in the Old Festive Hall at the University of Oslo. What is striking is the total absence of children’s rights being exercised in so many cases in Norway. Children are not treated like human beings; they are completely overlooked by the child welfare process. The child welfare system’s focus is on finding fault with parents, and the children are suffering terribly. 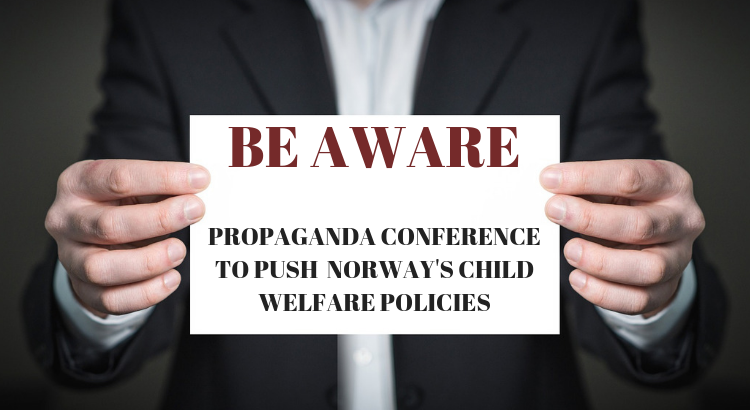 ← Is Norway funding the world into adopting its dysfunctional child welfare system?